Good morning! Here's this week's sketch. As usual, it's quite a basic design. It does make use of some circular elements, but if you don't have or don't like the round layer, you could always switch it out for something more linear. Here's my card. I pretty much stuck to the sketch exactly. 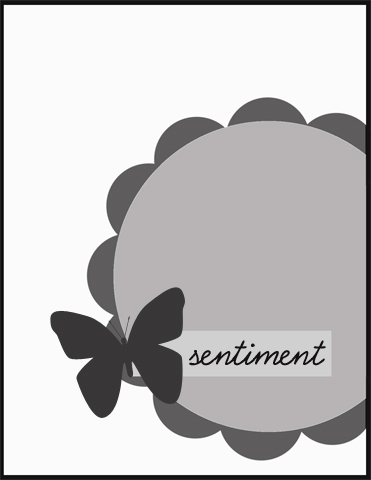 It felt like it was missing something, so I added a second little butterfly on the sentiment tag. As always, feel free to play along and leave a link! I am not very good at working with circles, but I did give the sketch a try. Love the colours you used on your card!